DUBAI — Memories are tricky. They are powerful but very fragile. We rely on them heavily to go about our lives (albeit, these days, with some technological assistance). And we’re not sure why some mundane moments are captured while others we deem important are forgotten the instant we click “share.” Remembering some things and forgetting others is part of being human, part of the processes of learning and aging. Knowing the limitations of our brains, we try to find ways to record the most important moments, anticipating the emotions they will likely invoke when we stumble on them again in the future. But what happens when you encounter someone else’s treasured memories, without their personal history? 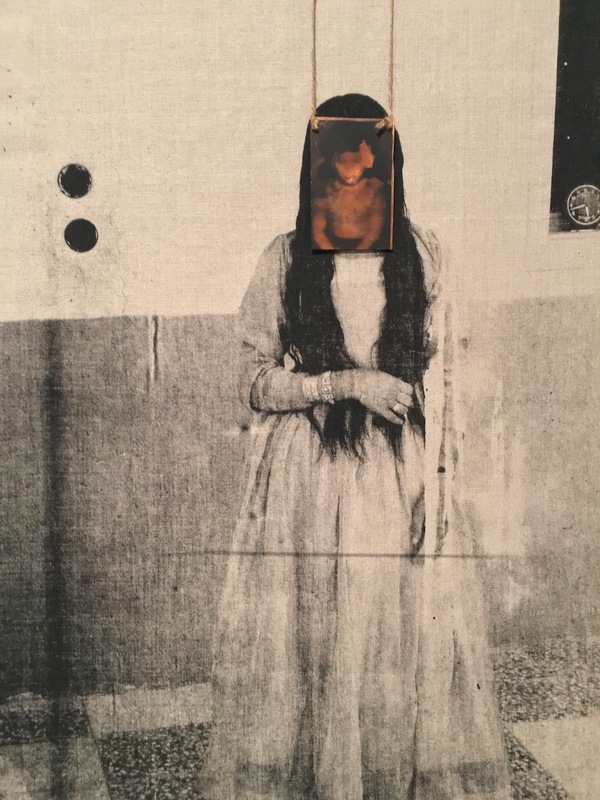 This is what Saudi Arabian artist Manal Al Dowayan explores in her latest show, And I, Will I Forget? (2015). Al Dowayan has dedicated her craft to documenting the state of women’s lives in Saudi Arabia, often working to shed light on women’s issues in the conservative region. But this show is of a much more personal nature, exploring the passing of her father, who suffered from Alzheimer’s in his later years. When Al Dowayan was a child, “my father gave me these Kodachrome slides that he shot and kept from 1962 to 1973. They were in a box of imported butter cookies, which I keep with me everywhere I moved,” she told Hyperallergic. The slides document her father’s move from Saudi Arabia to the United States for his university studies. 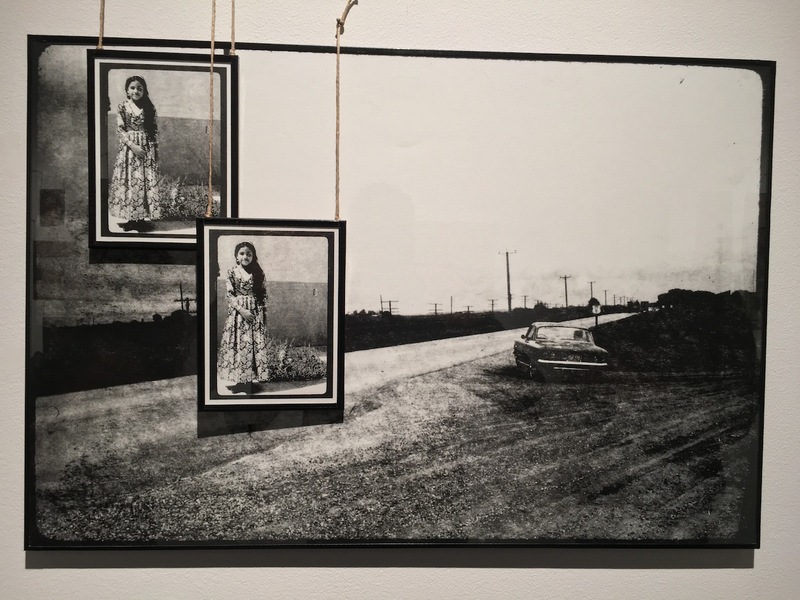 Though Al Dowayan’s father never told her anything about the places and people in the pictures, as a child she often played with them, separating them into portraits vs. landscapes, or pictures taken in Saudi Arabia vs. ones taken in the United States. 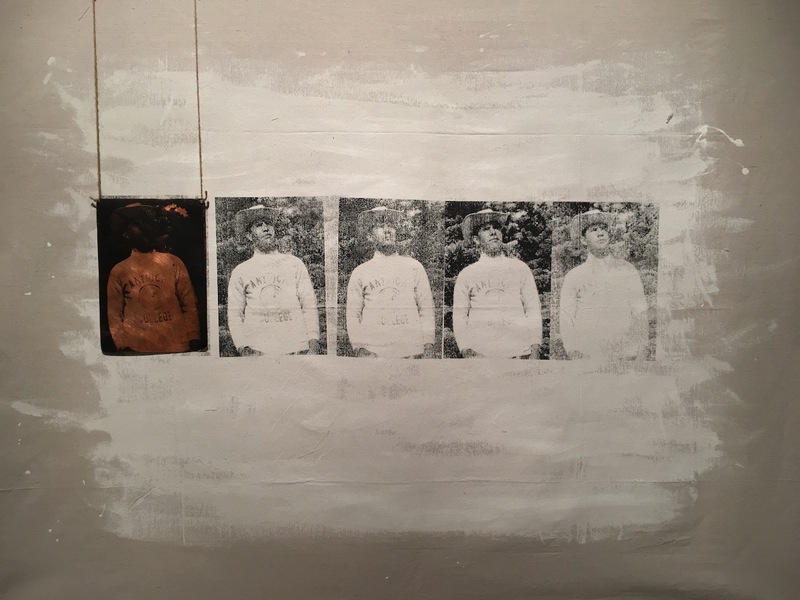 Preparing for an art residency at Robert Rauschenberg Foundation in Florida in 2015, Al Dowayan decided to take the box with her and revisit her father’s memories. “I felt that he took these images to show his family and friends back home what America was like, and to show his friends and classmates in the US what his hometown was like,” Al Dowayan said. 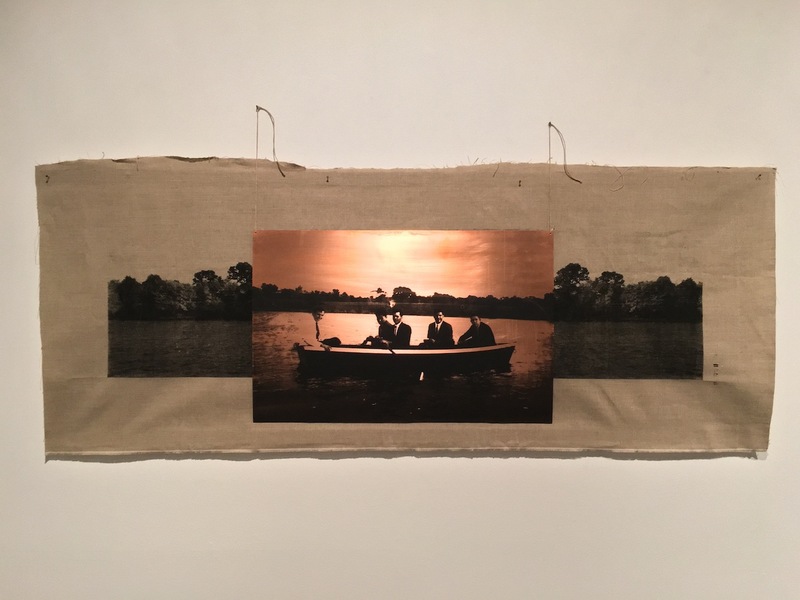 Drawing attention to the large number of slides near the sea, beaches, and pools, the artist identified her father’s nostalgia for the waters of his childhood, as he had grown up in the Eastern Province of Saudi Arabia, on the Arabian Gulf. 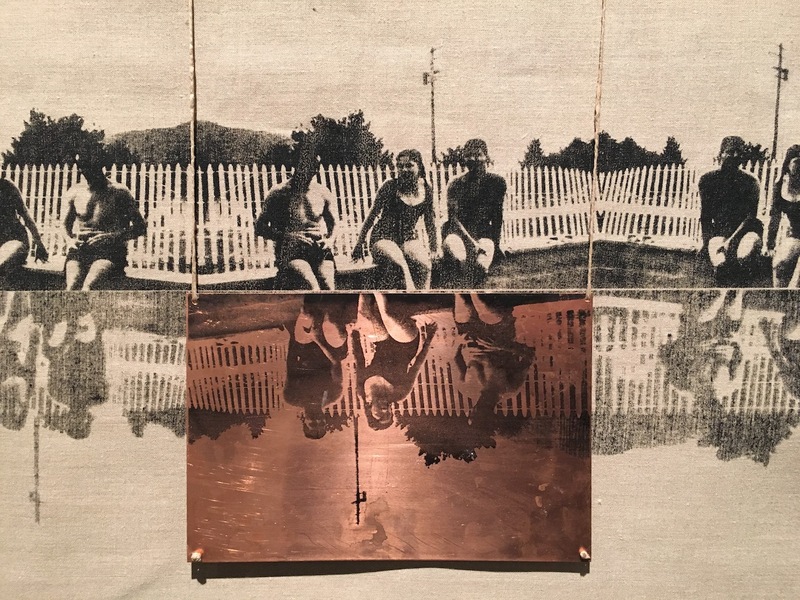 “What happens to memories that have no stories?” the artist asks. “Do they get deleted? Do they just disappear? When my father passed away, I chose not to research or investigate the backstory to these images. 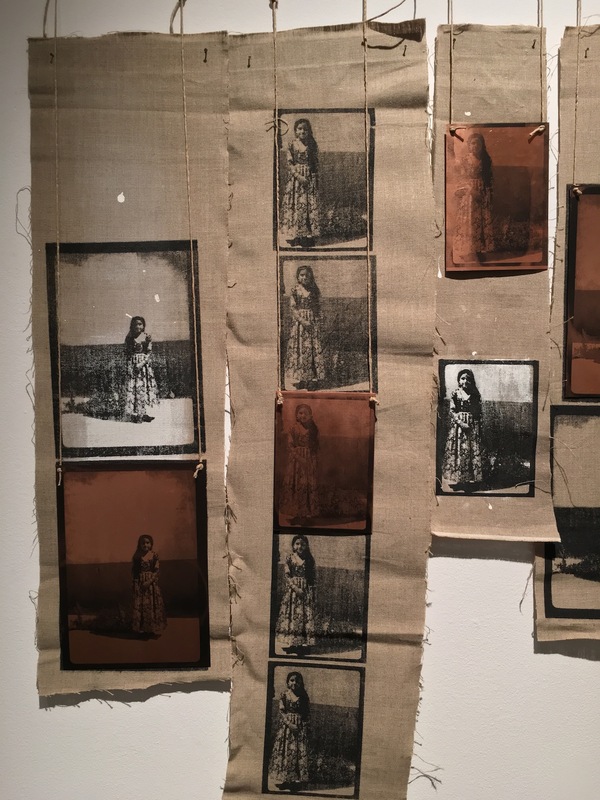 I wanted to [instead] tell my own story through somebody else’s memory.” Not having any context makes these images quite vague and open to interpretation, giving us a chance to impose our own biased feelings and impressions onto the people in them. So Al Dowayan set out to create a context for the pictures, shaped by her own experiences and memories. Her relationship to them is something many young Saudis can relate to: Our fathers were part of the first wave of Saudi men to travel abroad on government-sponsored scholarships in various fields, such as medicine, aviation, and engineering. While my own father is still with us, I remember snooping around as a child and discovering many photo albums of his aviation school year in Daytona, Florida in the late 1970s. That shared history makes this exhibit especially resonant to others in my generation. 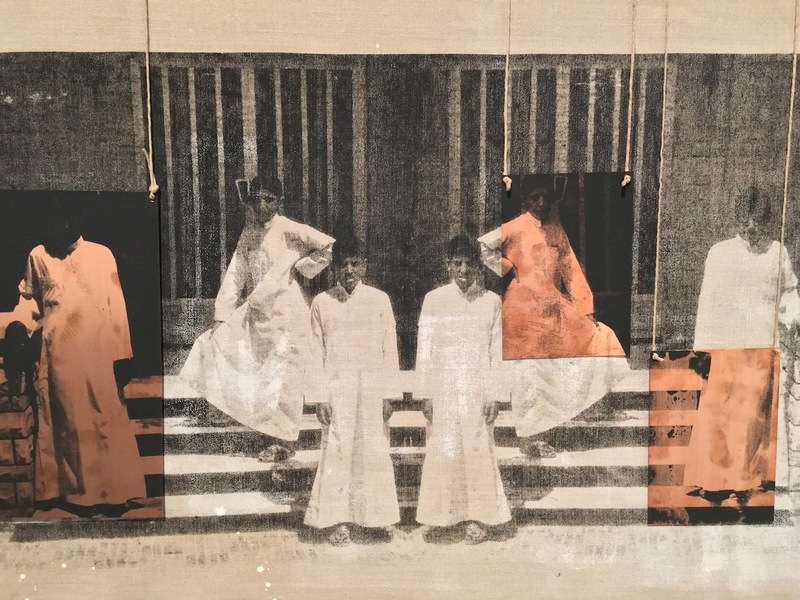 Several themes have been present in Al Dowayan’s work throughout her career, such as memories, active forgetting, identity, and representation. Keeping in mind the social context of the strict religious and social conservatism of Saudi Arabia, many of Al Dowayan’s past artworks addressed women’s issues that were particularly important to her. For her 2012 installation Esmi, Al Dowayan hosted workshops in major Saudi cities, asking women to write their names on very large prayer beads. The use of the beads was a way for these women’s names to be immortalized, despite the fact that they live in a society that actively tries to make them fade into the background or even disappear. Al Doawayn says, “I found it very violent to think I could not say my name in public, because of a strictly conservative culture” and gender-biased customs. 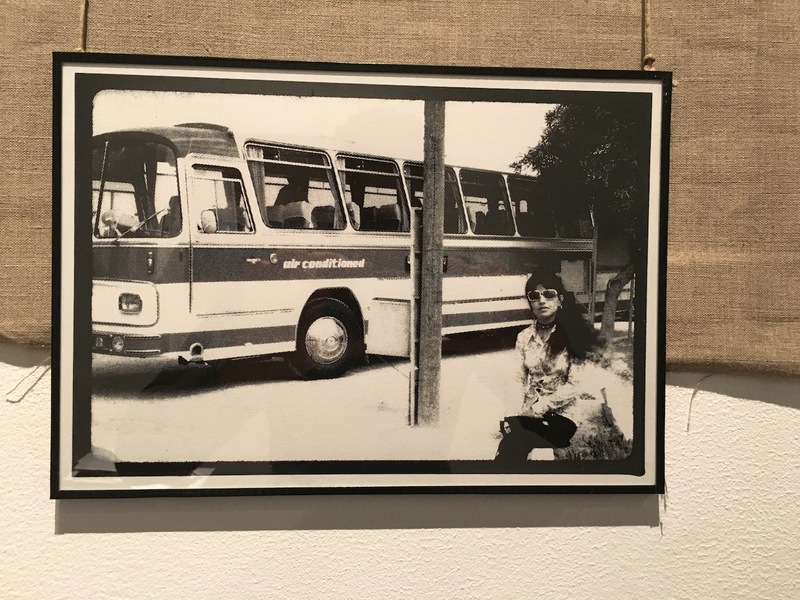 “I used my participatory artworks [Esmi] to connect with other women in my country and retaliate.” In her 2014 series Crash, Al Dowayan documented the specific phenomena of fatal car accidents wherein male drivers were taking female teachers from one town to another. While the media occasionally covers these incidents, they invariably fail to mention the identity of the female victims, or their need to ride on buses for hours every day to earn simple wages, because women are still not allowed to drive in Saudi. In A State of Disappearance (2014), Al Dowayan addressed the relationship between Saudi media and women, such as how newspapers always use the same stock images of Saudi women completely cloaked in black abayas, never bearing in mind the stark lack of association between their headlines and the images. By representing anonymous and fully covered women in the media, Saudi culture refuses to identify women’s unique character and individuality. Tree of Guardians (2014) was another community-participation project, in which Al Dowayan asked Saudi women to create a family tree of only their female ancestors, thus forcing many to examine their histories in a new way, resurrecting the memory of many women who had disappeared. The women’s names that were uncovered were written on golden leaves and hung with pride for the world (and the rest of Saudi Arabia) to witness. And I, Will I Forget? continues at Cuadro Gallery (DIFC, Dubai, United Arab Emirates) through March 20.